Influencers are what your marketing strategy is missing and needs. Connecting with your company’s target audience on social media can seem impossible due to constantly changing algorithms. With influencers, the game changes. Influencer marketing is a direct way to connect with your target audience, helping you reach hundreds of thousands of prospective customers. 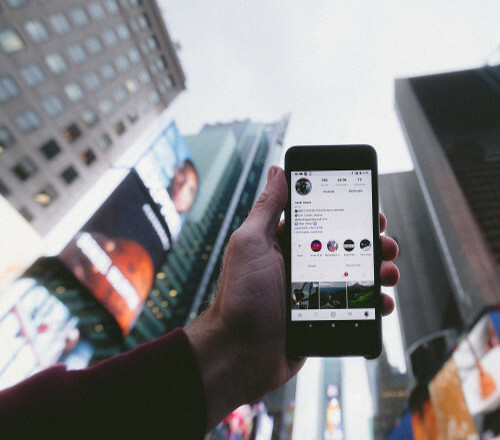 Social media is changing the buyer market with the use of influencers; to take advantage of the niche market your company wants to appeal to, influencer marketing is the way to go. People follow influencers because they’re perceived as experts in their fields of interest and study, and they create content that is engaging, clever, and consistent. or more of internet users say they follow some sort of celebrity or influencer account on social media. of marketers promote content with the help of influencers. of shoppers make buying decisions based on social media. Influencers used to be celebrities, athletes, politicians, etc. Now, they’re everyday people with strategic positions among unique niches. Whether you’re trying to find mommy bloggers, foodies, sport fanatics, collectors, etc., we’ve got you covered. We’ll find influencers who'll represent your brand with the same honesty, integrity, and spirit that an employee would. Influencers are an extension of your company and they promote your service or product to great effect to their followers in a way that’s native to their specific platform (Facebook, Instagram, Twitter, YouTube, Pinterest, LinkedIn).